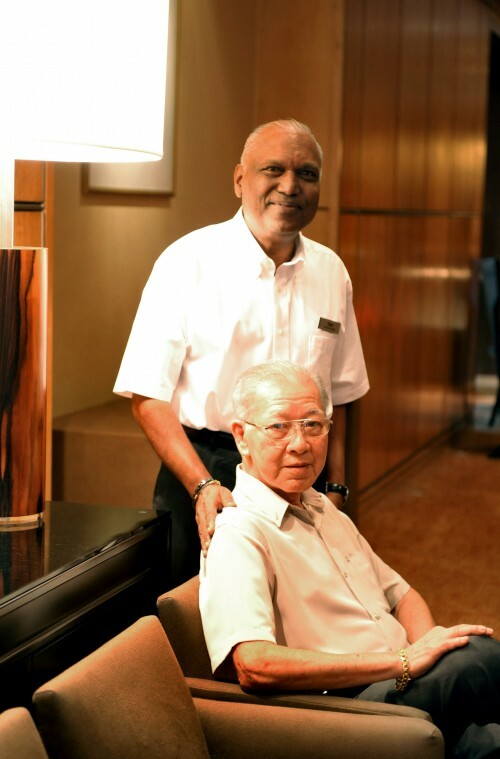 We usually think of retirement as a welcome chance to put our feet up after years of slogging it out at the coal face but plenty of Singaporeans have no intention of quitting the daily grind altogether. Responses to questions from The Sunday Times Invest found that a whopping 73.1 per cent of those polled either plan to work part-time or be active investors after they retire. Ms Soh Swee Ping, chief executive of the Council for Third Age (C3A), says semi-retirement, or "phased" retirement as it is known, is becoming very popular as people have become accustomed to the working life. She says: "It's something people are giving more thought to, particularly in the younger cohort of seniors where their working career has kept them very busy for many years." The survey, carried out in conjunction with DBS Bank, saw 442 responses from readers about their retirement goals, their financial planning and their plans to stay active. It was no surprise that many of those who responded see retirement as a golden opportunity to explore new things. Pursuing an interest or skill they never had the chance to before is seen by 28.5 per cent as a key goal while 27.8 per cent say they plan to spend time with family and friends. Travel appeals to 20.6 per cent while 22.6 per cent say they want to lead a healthier lifestyle when they retire. Retirement goals such as travel cost more than others like pursuing a healthy lifestyle, so your lifestyle and needs in retirement will inevitably be largely dictated by how much cash you have - or how much you can continue to bring in. The Sunday Times Invest looks at the many aspects of retirement and how to get the best out of these years. These range from utilities, insurance, household and transport costs as well as personal outlays on clothes, hobbies and medical expenses. Assuming your house has been fully paid for, Mr Christopher Tan, chief executive of financial advisory firm Providend, says that without a car, you would need at least $2,000 to $3,000 a month, in today's terms, for a couple. Factor in a car, one that is also fully paid for, and the retired couple would need to add at least $500 to $1,000 a month to their expenses. Our poll found that despite such hefty costs, only 3.6 per cent said they would - or did - sell their car. Mr Vasu Menon, vice-president of wealth management in Singapore at OCBC Bank, says there could be merits to owning one, for those who can afford it. He says: "A car also accords convenience, which some people may wish to enjoy in their golden years after working hard for many years. For retirees who help to look after their grandchildren, they may need to ferry them around and so a car may be a necessity." More savings can be made by taking the bus or MRT. For instance, TransitLink offers a hybrid monthly concession pass at $60 which gives seniors, aged 60 and above, unlimited travel on basic bus and train services. However, the viability of taxis will depend on your travel frequency and booking fees. And while everyone should be covered by the proposed Medi- Shield Life, Mr Eddy Lim, head of life insurance offer at AXA Life Insurance Singapore, notes: "Outpatient visits for non-serious chronic illnesses can be a big drain on your retirement fund as they are not covered by MediShield Life." These include your home and investments. However, as Mr Tan notes: "At retirement, residential housing cannot be considered as an income-generating asset unless one decides to downgrade." He adds that Providend helps clicombination of assets for use at different stages of life. For example, in the first five years of retirement, clients could consider a portfolio of low-return and low-risk assets like money market instruments or bonds. A person from the 16th year of retirement onwards could opt for a portfolio consisting of about 60 per cent equities and 40 per cent bonds to provide income. Mr Abel Lim, head of investment sales and advisory at United Overseas Bank, adds that while it might be possible to hold most savings in deposits and use that to meet financial goals, inflation will erode the value of the savings over time. He says: "Retirees should not take on excessive risks to beat inflation but have an investment strategy that fits with their financial profile and risk appetite. Working together with a qualified financial adviser can help determine the best investment approach." Mr Tan advises retirees to have key insurance plans such as hospitalisation, and severe disability coverage, which can pay for a caregiver if needed. They also need critical insurance to meet expenses such as traditional Chinese medicine that cannot be paid by a hospitalisation plan. He adds that "at retirement, death coverage is of lesser importance and in fact, unnecessary". Retirees should also ensure they have a will, so their assets can be protected and wishes met. Experts say the will should be done ahead of retirement when you are mentally well, although changes can be made at different life stages. Mr Brandon Lam, head of consumer investment and insurance products at DBS, also suggests that if you are married with young children, "it is most desirable for husband and wife to set out a will separately". He adds that appointing a guardian who can help manage the assets and take care of the children is crucial when making a will, Mr Tong Kin Muon, who used to be executive director at Shan You Counselling Centre until he retired last year, suggests people apply for a legal document known as the lasting power of attorney (LPA). This allows those named in the document to make decisions on your behalf if you become mentally incapacitated, which "may happen when you least expect it, through accident, illness or other circumstances", he adds. How can you make up for a financial shortfall? It comes as no surprise that working part-time as a semi-retiree is common these days. Some do it for the extra cash, while others want to stay active. Mr Menon says working parttime is a good idea because it helps to supplement your retirement income and keeps you mentally engaged. Retirees with children may also be able to depend on them, but Mr Tan feels it is important to be independent - a factor that may be why so many in our survey said they wanted to work part-time or to invest. Mr Tan says: "Personally, I would prefer that my children supplement my retirement income needs out of their love for me rather than an obligation. They must be able to also afford it. As such, I would rather be independent." Professor Joseph Cherian of the National University of Singapore Business School says: "If you are retired and own your home, monetise the asset if you have a retirement funding shortfall." This could either mean selling your home and buying or renting a smaller one, or opting for schemes such as a lease buyback scheme. Mr Tong says HDB homeowners may unlock the value in their home equity through the enhanced lease buyback scheme. People living in flats up to three-room in size who qualify for the scheme can sell part of the flat's lease to the Housing Board and use the proceeds to top up their Central Provident Fund (CPF) Retirement Accounts. Prof Cherian says such households should use the proceeds from the monetisation programme to buy a life annuity from the CPF to supplement retirement income. But this option has limited appeal, according to our survey, which found that only 17.2 per cent said they have downgraded their property - or plan to - or have rented out a room when they retired. But Mr Tong is doing just that as he will be moving into a 110 sq m, two-room condo unit, from a three-storey house. He says "selling the house to free up both time and money to pursue other interests such as travelling seemed like a natural step to take". With so much to consider, it's time to relook your retirement plans and make adjustments.